Although many more will die from heart disease and lung cancer, breast cancer remains the most feared diagnosis for many women. The bad news is it is the most common cancer among U.S. women with the exception of skin cancer. The good news is that death rates have dropped over the years and new treatment options continue to come online. The American Cancer Society estimates about 252,710 new cases of invasive breast cancer and 63,410 new cases of carcinoma in situ cases will be diagnosed in 2017. Additionally, the ACS estimates 40,610 women will die from breast cancer this year. The second leading cause of cancer death in women, the death rate declined by 38 percent from a peak high in 1989 until 2014 (the last year for which figures are currently available). The ACS "Cancer Facts & Figures 2017" attributes the drop, which cumulatively translates to almost 300,000 fewer deaths from breast cancer, to improvements in early detection and treatment. Localized cancer, which makes up more than 60 percent of newly diagnosed cases, has a five-year relative survival rate of 99 percent. 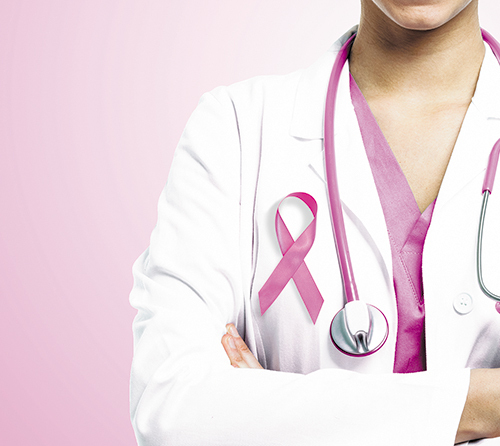 Invasive breast cancer has a 90 percent five-year survival. Today, there are more than 3.1 million breast cancer survivors in the United States. A study released earlier this year in Cancer Epidemiology, Biomarkers & Prevention, a journal of the American Association for Cancer Research, found poor diet in adolescence and early adulthood is linked to an increased risk of premenopausal breast cancer. 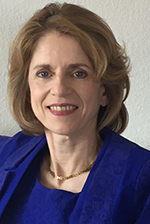 Specifically, the study pointed to a diet associated with chronic inflammation that was low in vegetables and high in carbohydrates, refined sugar, and processed meats as being a culprit for significantly increased risk, according to Karin Michels, ScD, PhD, lead author and professor and chair of the Department of Epidemiology at the UCLA Fielding School of Public Health. "Because breast cancer takes many years to arise, we were curious whether such a diet during the early phases of a woman's life is a risk factor for breast cancer," she said. The research team used data from 45,204 women in the Nurses' Health Study II who had previously completed food frequency questionnaires about diet during high school and later questionnaires about eating habits at various stages of adulthood. Michels and colleagues then assigned an inflammatory score based on the women's adolescent diet and created five groupings. During 22 years of follow-up, 870 women were diagnosed with premenopausal breast cancer. Those who were in the top inflammatory score group from adolescence had a 35 percent higher risk for premenopausal breast cancer than those in the lowest score group. The researchers then used the same method to score early adulthood diet based on the later questionnaires. When the analysis was run using that data, women in the highest inflammatory score group had a 41 percent higher risk for premenopausal breast cancer relative to those in the lowest score group. "Our results suggest that a habitual diet that promotes chronic inflammation when consumed during adolescence or early adulthood may indeed increase the risk of breast cancer in younger women before menopause," said Michels. Recognizing each woman's breast cancer risk is different based on a host of factors from demographics to genetic predisposition to lifestyle choices, Michels said this study points to poor diet as yet another potential factor to consider. While not definitive -Michels noted the study had several limitations including the fact that adolescent diet was recalled at a later date by participants and that researchers did not have access to adolescent and early adulthood measurements of blood markers of inflammation - she noted consuming a healthier diet when young appeared to afford some protection. Michels concluded, "During adolescence and early adulthood, when the mammary gland is rapidly developing and is therefore particularly susceptible to lifestyle factors, it is important to consume a diet rich in vegetables, fruit, whole grains, nuts, seeds, and legumes and to avoid soda consumption and a high intake of sugar, refined carbohydrates, and red and processed meats." Moffitt Cancer Center researchers in Tampa, Fla., have reported promising clinical activity with a HER2-targeted dendritic cell vaccine. Since deregulation and inhibition of the immune system help cancer develop and proliferate, researchers worldwide have focused energies on therapeutic strategies to re-stimulate the immune system and get it to recognize and destroy cancer cells. Previous research has shown immune cells are less likely to recognize and target cancer cells that express HER2 as the breast cancer progresses to a more advanced stage. The vaccine being studied targets the HER2 protein on breast cancer cells using dendritic cells harvested from each patient for a personalized vaccine and led to regression of early-stage breast cancer with minimal toxicities. Moffitt researchers performed the clinical trial in 54 women who had HER2-expressing, early-stage breast cancer. After isolating each woman's dendritic cells and exposing them to fragments of HER2 protein, the women received an injection of their personalized vaccine weekly for six weeks into a lymph node, the breast tumor, or both. Assessing the vaccine's effectiveness by seeing how many of the women had detectable disease in surgical specimens after resection, researchers found 13 patients achieved a pathological complete response (pCR). Of that group, patients with ductal carcinoma in situ (DCIS) achieved a higher rate of pCR than those with early-stage invasive disease, and those who achieved a pCR had a higher immune response within their local sentinel lymph nodes. Brian J. Czerniecki, MD, PhD, chair of the Department of Breast Oncology at Moffitt, said, "These results suggest that vaccines are more effective in DCIS, thereby warranting further evaluation in DCIS or other minimal disease settings, and the local regional sentinel lymph node may serve as a more meaningful immunologic endpoint." In other news, the U.S. Food and Drug Administration approved a new drug in March from Novartis Pharmaceuticals for the treatment of postmenopausal women with HR-positive, HER2-negative advanced or metastatic breast cancer. Ribociclib (Kisqali), a cyclin-dependent kinase 4/6 inhibitor, was approved in combination with an aromatese inhibitor as initial endocrine-based therapy based on interim results from the international MONALEESA-2 trial. In the randomized trial, those receiving ribociclib plus letrozole (the aromatese inhibitor) reduced the risk of progression or death by 44 percent compared to those receiving letrozole alone and demonstrated tumor burden reduction with an overall 53 percent response rate. Novartis has since reported information from a subsequent analysis with additional follow-up and progression events that showed a median progression-free survival of 25.3 months for ribociclib with letrozole compared to 16 months for letrozole alone.